Wide sea views, magnificent cliff paths and golden beaches are just one part of the story. 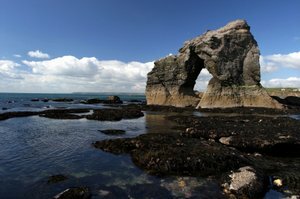 The Ancient Maritime and Estuaries route gives a week of world class trail walking creating a patchwork of experiences based on our drama and history with the untamed sea. 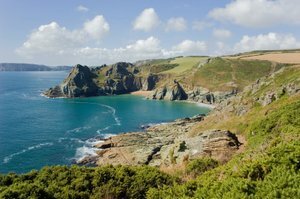 Lost villages, intrepid explorers, smugglers, the founders of the “new world”, you will walk through all beaches their stories and their scenery on the Devon Coast Path to Brixham. 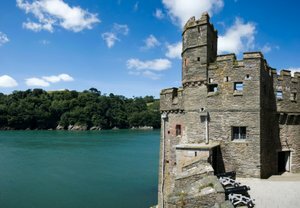 You will need to navigate a spectacular run of five untouched tidal fingers, wildlife rich estuaries that make deep cuts through the landscape that of The Yealm, The Avon, The Dart, The Kingsbridge and the Erme the latter simply described as the most beautiful river mouth in the UK. Away from craggy wild headlands and boiling seas, you will wander through surreal pebble and shingle coastal bars, ancient woodlands, rich salt marsh and high level floral pastures. Walk the history of great seafarers in Plymouth and Dartmouth to the understated hardships of the farmers, fisherman and soldiers that have struggled to survive here. The most isolated part of Devon this section of the South West Coast Path takes some organising, crossing rivers with tiny foot ferries that link long sections of trail with no habitation or facilities but Encounter Walking can assist with whatever arrangements you need to walk the route at your pace and in your way. However the rewards of this untouched area should be obvious. The best wildlife and birdlife hides itself here. Lost in time villages and Robinson Crusoe beach experiences link with trendy yachting retreats, ancient harbours and surreal offshore islands. Ride a 6’ft sea tractor high above the waves, explore Napoleonic Cliff Forts, find a Sherman Tank, a 19C juke box and a stack of Gold Bullion and that’s all before we tell you about the walking ! – intrigued? Read on to find out more about why we should all make the time to walk the Ancient Maritime and Estuaries Trail.